Competition Worthy Guacamole is, without a doubt, the best guacamole recipe you could make! This homemade guacamole stands out because of the ingredients. 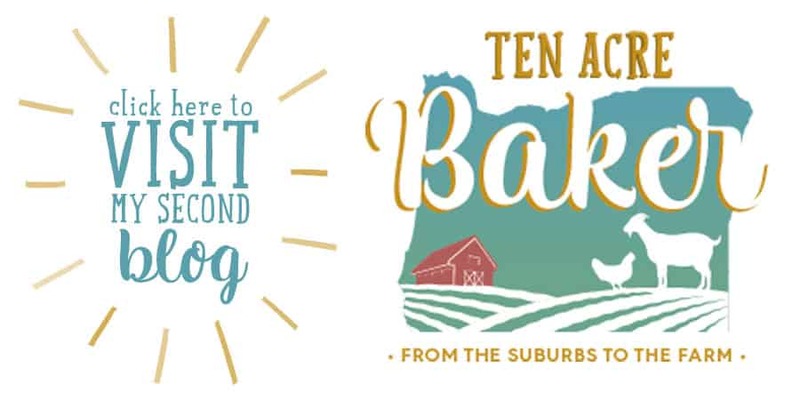 When I attended my first food blogger conference (weird that’s a thing, right?) we had a team based Guacamole Competition. We basically had to run up to a table, fight for the ingredients we wanted to use, and were judged not only on creativity but, of course, taste. Our team won. Once you make this guacamole recipe, you’ll see why. Which Avocados should you use for Homemade Guacamole? I was raised in Southern California and grew up on locally grown avocados. I just assumed that’s where all avocados came from until I moved away for school and career, at which point my culinary dreams were shattered when I experienced avocados that were not grown with love in my home state. Let me tell you, friends, there is a HUGE difference in taste, texture, and quality. I definitely recommend using California grown avocados for your guacamole. 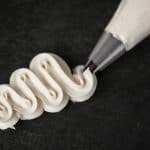 Trust me on this one, they will make the flavor so much more delicious! 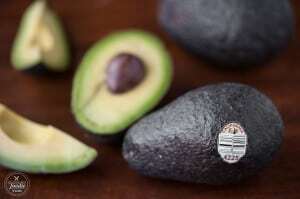 In general, Hass avocados are the best in my opinion. But, if they are out of season or you can’t find them, any kind of avocado will work. I couldn’t believe how well this guacamole recipe turned out. 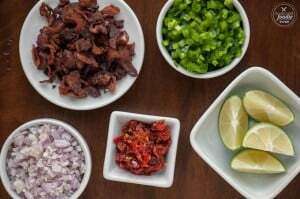 The combination of bacon and jalapeno (one of the best flavor and texture combinations ever) along with diced shallot, sun dried tomato, and lime makes for the best tasting guacamole you’ll ever enjoy. The possibilities are endless when you make guacamole. Traditional guacamole will almost always have avocado and lime. 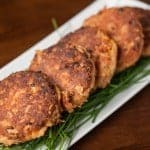 It may also have chopped tomato, raw onion, and cilantro. 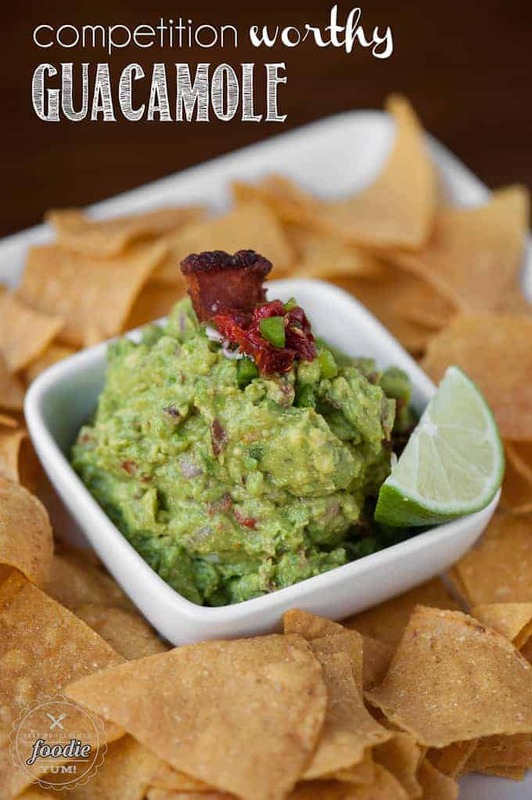 The reason I think this guacamole recipe is so much better than traditional guacamole is because the shallot is more mild than onion, the sun dried tomato is much more flavorful than raw tomatoes, and bacon plus jalapeno adds just the right amount of heat, salt, and texture. Of course it can! This is especially true when you add fresh ingredients like we did with ours. Avocados are very good for you, and by adding flavors to it like bacon, jalapeno, sun dried tomato, and shallots, you are setting yourself up to have a delicious and healthy snack! 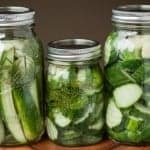 How long does Homemade Guacamole last? Your homemade guacamole will probably last a few days if you keep it covered in the fridge. You will know it is going bad if it starts to go brown. I would recommend covering the bowl or serving dish you’ve place your guacamole in with plastic wrap to maintain as much of the freshness as you can. I have heard that if you stick the avocado pit in your guacamole it helps it last longer. I have yet to try this trick and can’t verify if it really works. Why is Homemade Guacamole so good? This question has a simple answer to it. Homemade guacamole is so good because you are using only the best ingredients to make it. 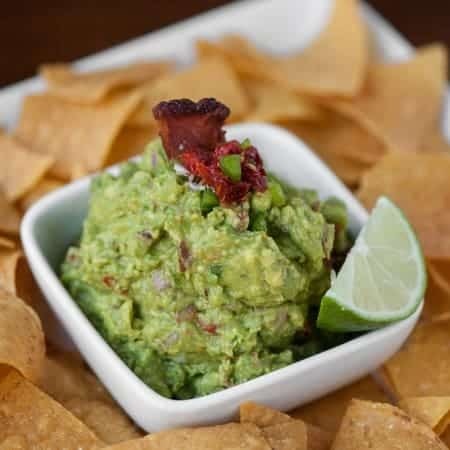 It also helps that you can kind of customize what you put in to your guacamole, just like what we did to make this competition worthy guacamole. You won’t regret making your own guacamole to serve up at events instead of just bringing store bought. 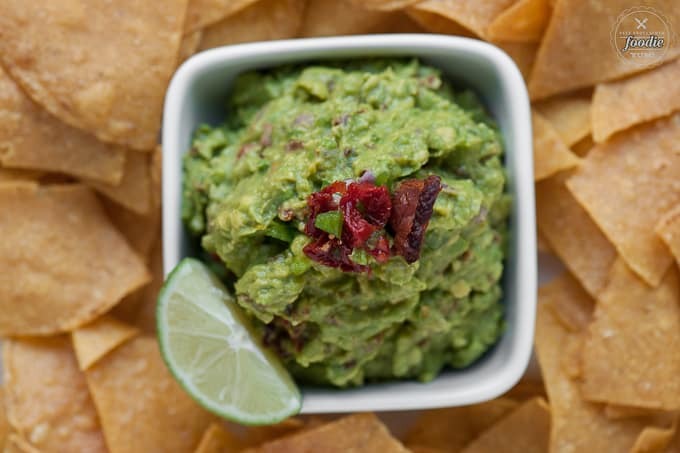 I guarantee you will have people asking you how to make this competition worthy guacamole! Competition Worthy Guacamole is, without a doubt, the best guacamole recipe you could make! This homemade guacamole stands out because of the ingredients. 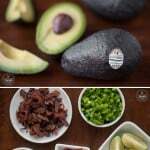 Quarter avocados, twist away from pit, peel off skin. Add avocado to remaining ingredients in bowl. Mash all ingredients together until you reach desired consistency. 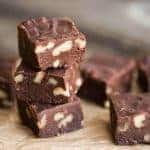 Serve with outstanding tortilla chips or just eat it with a spoon! Makes about 2 cups. Serving size based on 1/4 cup. OH my this is amazing, guac is my fave!! Absolutely love the bacon addition! Brings this classic dip to over the top amazing! Guacamole is always a great idea! I can see why this one is a winner! I make this for every Taco Tuesday! 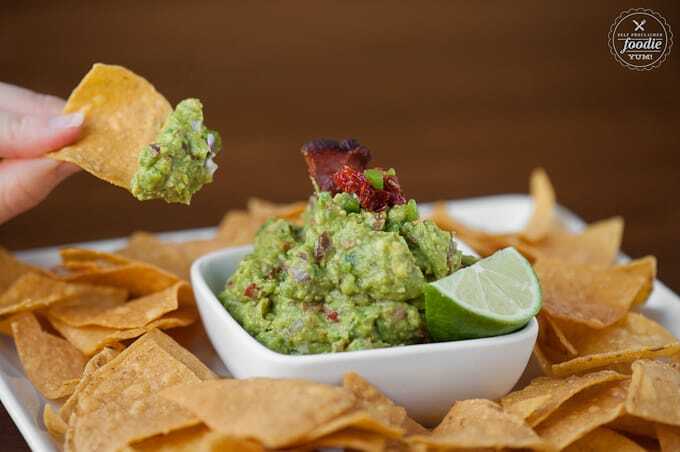 i love the addition of bacon in guac!! I am a guacamole hound, and this stuff absolutely is competition worthy!